All Carefree Ranch homes currently listed for sale in Scottsdale as of 04/23/2019 are shown below. You can change the search criteria at any time by pressing the 'Change Search' button below. 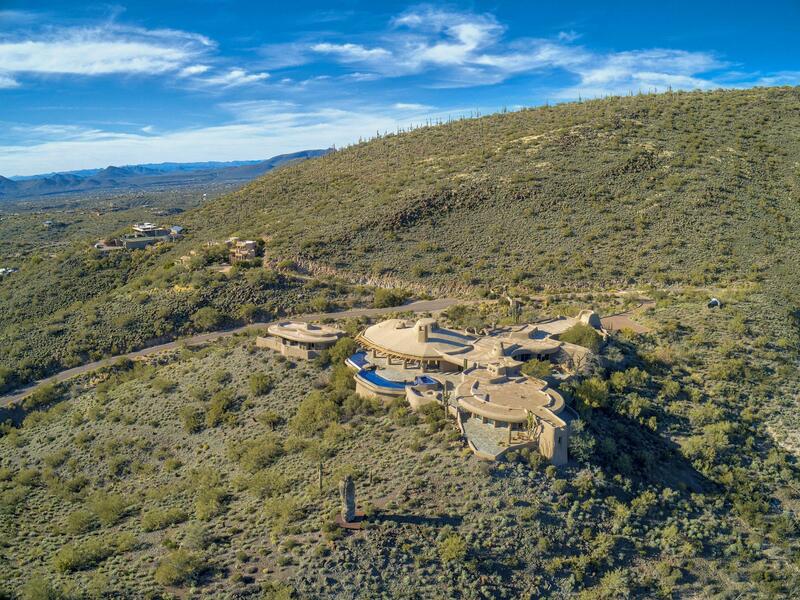 "Overlooking Desert Mountain and the surrounding NE Valley presides one of the most unique properties of architectural splendor. From renowned architect Charles Johnson & Builder Phil Smith, a Southwest masterpiece of design & engineering; incorporating both old world pueblo & southwest contemporary style. Sitting atop a rolling ridge line,15 GATED ACRES of ultimate security & privacy. Over 11,560 sf livable (1700 sf under roof), large areas for entertaining while integrating intimate areas for r"